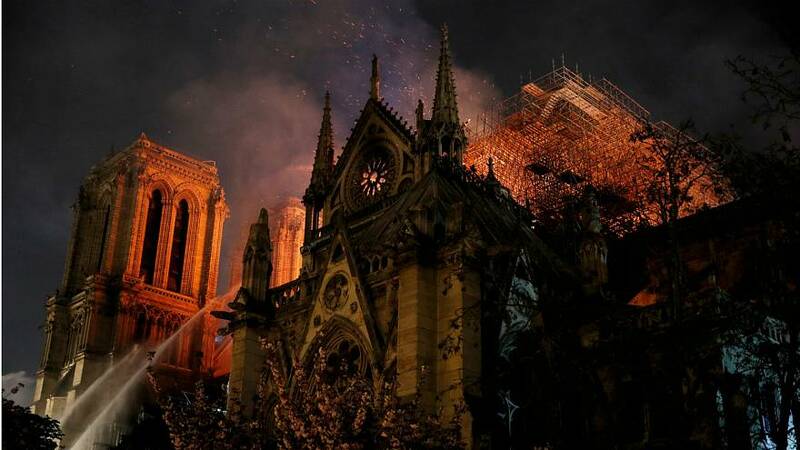 Work has begun to immediately assess damages and launch plans for rebuilding France's beloved Notre Dame after its devastating fire. Scores of horrified Parisians lined the banks of the River Seine on Monday evening, helpless to the sight of flames ripping through the city's more than 800-year-old iconic landmark. A staple of gothic architecture and home to priceless artworks, it is perhaps difficult to imagine how the Catholic cathedral could be restored to its former glory. But it has so far survived several tests of time, including a revolution, two world wars, and more. This is also not the first time in history such an important landmark has needed to be rebuilt — Euronews has taken a look at other churches and cathedrals across the continent that have also battled disaster. One of the UK's most recognisable landmarks, St Paul's Cathedral has not been immune to disaster. The original structure was reduced to ruins during the Great Fire of London in 1666. It was later rebuilt by Sir Christopher Wren, one of Britain's most famous architects. 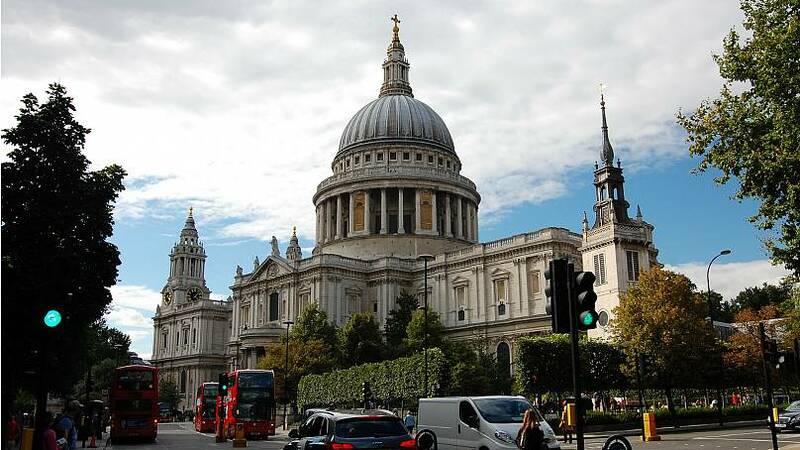 St Paul's has since survived several historical challenges, including the Blitz, an incessant German bombing campaign between 1940-41 that levelled swathes of the UK's capital. 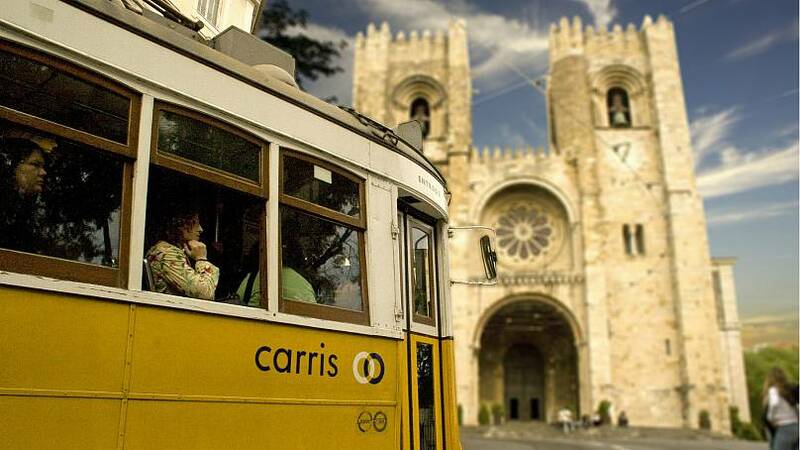 Santa Maria Maior or Sé de Lisboa, which simply means "Lisbon Cathedral", has endured multiple earthquakes since its construction in 1147. One such catastrophic quake hit the Portuguese capital in 1755, triggering fires and a tsunami, which further devastated the city. Among the levelled buildings was the partial ruin of Lisbon's Santa Maria Maior. In the centuries since, the cathedral has undergone several restoration works, becoming a composite of a number of historical styles. Allied forces from the UK and US led a brutal firebombing campaign on the German city of Dresden over the course of two days in 1945, killing tens of thousands of people and reducing the city to rubble. The attack has remained controversial in many opinions, due to the justification of its targets and its timing so late in the course of the Second World War. Incendiary bombs sparked devastating fires and widespread human casualty — one British prisoner of war, Victor Gregg, who was held in Dresden, described seeing victims turned into "human torches" as incendiaries "clung to the bodies of those below". "The screaming of those who were being burned alive was added to the cries of those not yet hit," he wrote in The Guardian. 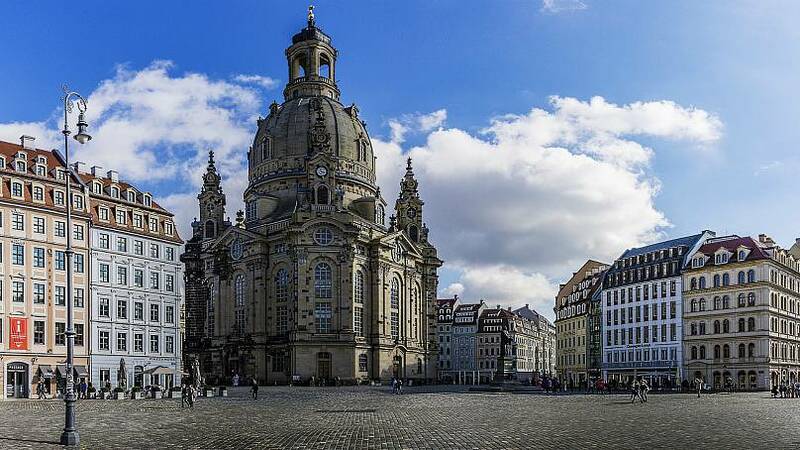 The destroyed Dresden Frauenkirche or Church of Our Lady was initially left to serve as a memorial to the bombings but was eventually rebuilt after the fall of the Berlin wall. Another victim to the Second World War, the Nazis all but destroyed the Polish capital in a furious response to an uprising led by the resistance. The Holy Cross Church was damaged during the uprising, but became one of many buildings deliberately destroyed afterwards by the Germans — it was blown up twice in 1944 and 1945. 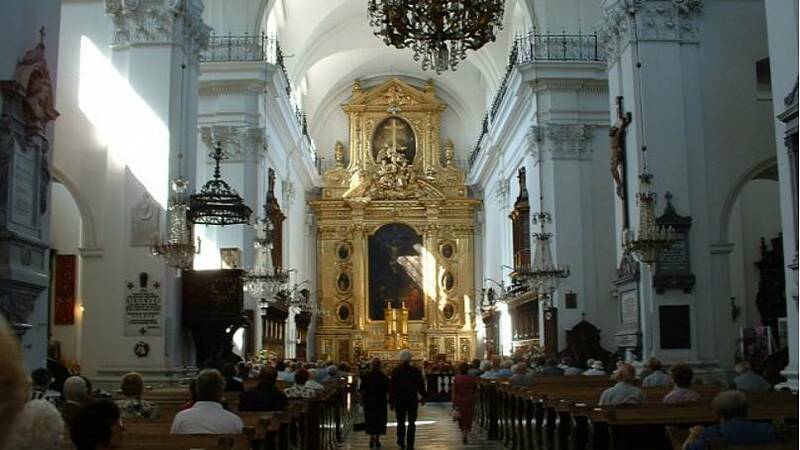 After rebuilding, it remained one of Warsaw's most famous churches, serving as the resting place of the heart of Polish pianist Frédéric François Chopin. Chopin's body was buried in Paris. 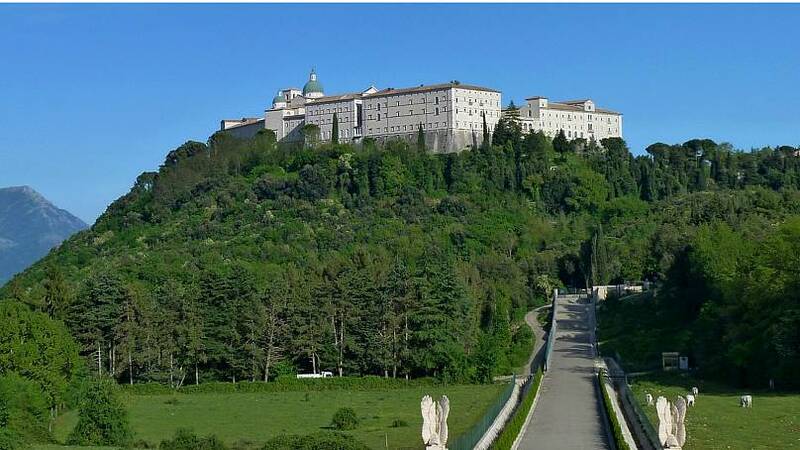 This 6th century Abbey was founded by Saint Benedict, and sits 80 miles southeast of Rome, atop the Monte Cassino. It has faced challenge-after-challenge throughout history, including abandonment, wars, revolution and an earthquake. But its biggest challenge came in 1944 when it was subject to attacks from Allied forces during the Second World War. While the Abbey itself was destroyed, many artefacts and priceless treasures were relocated to the Vatican ahead of the battle, according to the official website. It was later rebuilt and is still a huge tourist attraction today. The cathedral in Croatia's capital is famous for its two towering spires that overlook the city — the work of Austrian architect Hermann Bolle. But it didn't always have this structure. In 1242, the original structure was destroyed in the Mongol invasion of Europe, before being rebuilt. The city was later surrounded by fortified walls to protect itself from further invasion, but, unfortunately, destruction arrived in other ways. 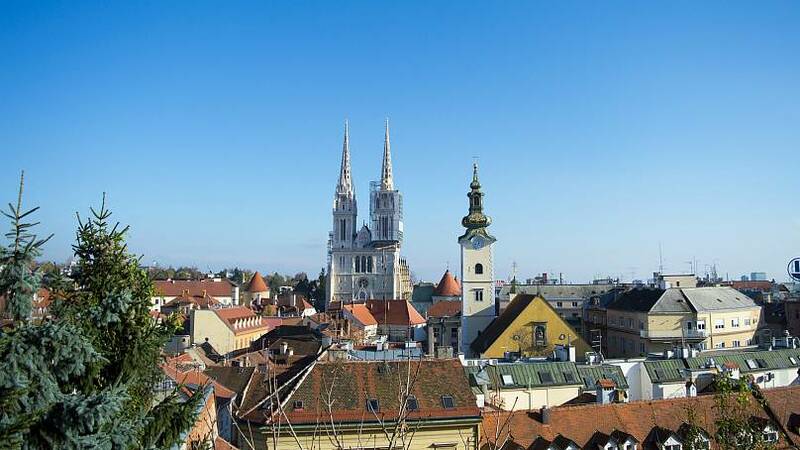 An earthquake in the 19th century saw the partial collapse of Zagreb's cathedral, which required major restoration work. Bolle stepped in to help with the reconstruction and transformed the building into how it appears today. Known in English as St Stephen's Cathedral, this 14th-century structure was built on the ruins of two former churches. 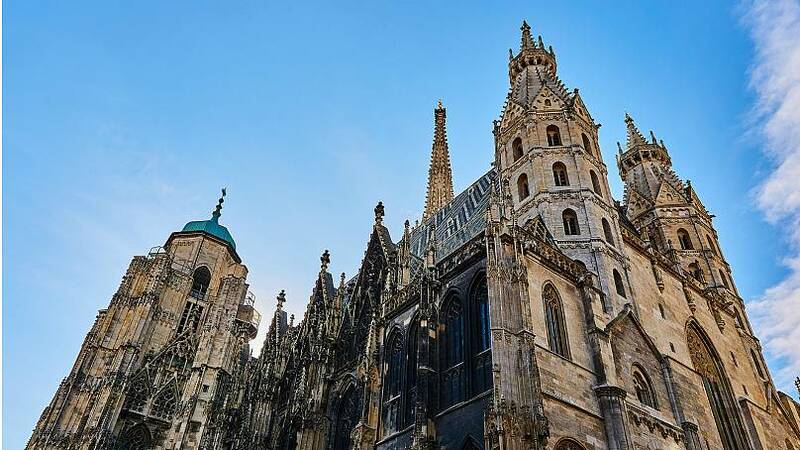 It escaped ruin during the Second World War after a German captain ignored orders to reduce the cathedral to rubble, however, it was brought to its knees in 1945 by a series of fires that spread toward the cathedral and caved its roof. Rebuilding took several years, with Stephansdom finally reopening in the early 1950s. 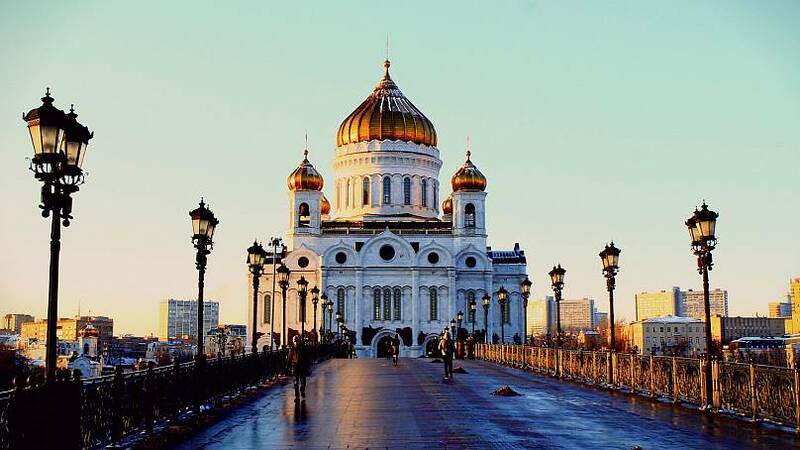 An Orthodox Christian giant sitting on the bank of the Moskva River, today's Cathedral of Christ the Saviour was consecrated in 2000 — it was built upon the ruins of its former self. The original structure was built during the 19th century, but in 1931 was ordered by Soviet leader Joseph Stalin to be destroyed to make way for the building of a Soviet Palace. However, the construction of the new palace was interrupted by the Second World War, and was subsequently never finished. 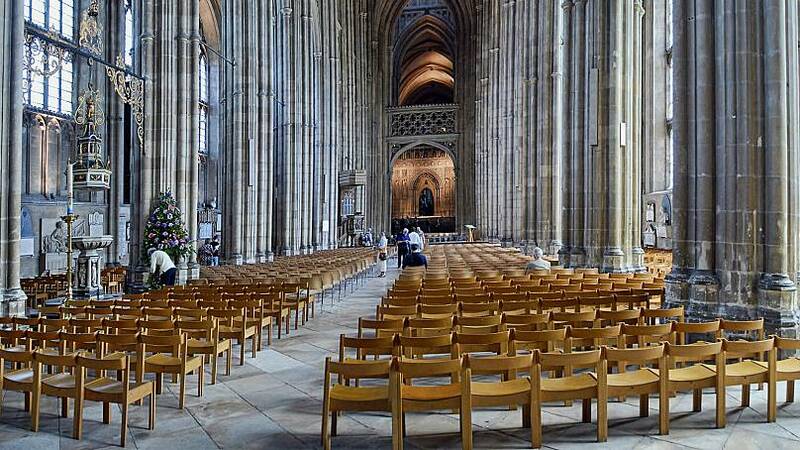 Canterbury Cathedral is one of the most famous churches in England, seating the Archbishop of Canterbury. However, it has also endured at least three fires and multiple rebuilds since it was founded in 597. One such fire, according to historian Dr Emma Wells, may have been started as a result of a rivalry between monks at Canterbury and Durham cathedrals — each battling to be England's most popular place of worship. According to Wells, the timing of the fire, shortly after the killing of St Thomas Beckett, was a little too perfect. The fire damage made way for a crypt to be built for the murdered saint, which served as quite the tourist attraction.